I have a pretty old bookshelf. It’s been here since we first moved in and that was over 14 years ago! (gasp!) I like my bookshelf but I don’t love it. I wish it’s a bit bigger and I really want to paint it white, but it’s old so I’m hoping to just buy a new one. 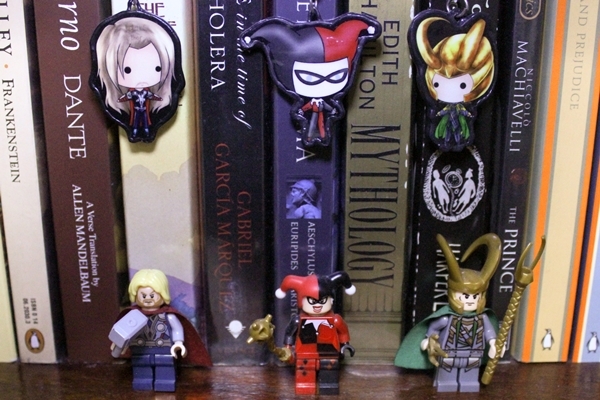 Anywayyy, I try to decorate my shelves with little toys (which I have loads of!) to make it a bit more interesting. Here are a couple of things I have on there right now. 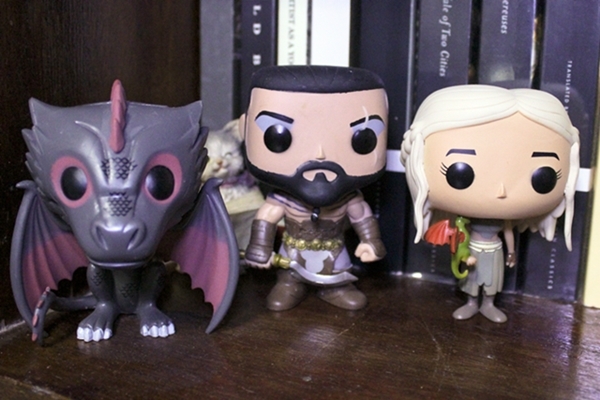 Here we have Drogon, Khal Drogo, and Khaleesi. Still need to get Viserion and Rhaegal! 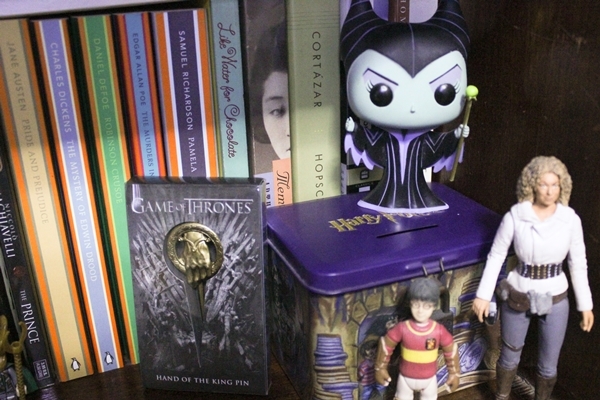 The Hand of the king pin, Maleficent, Harry Potter coin bank and Harry Potter! River Song!